Workshop organized by the KKCG Group on the design of area Na Pomezí in Prague 5 for residential purposes with a total area of ​​17,000 m2 of floor space. In our proposal we take into account the most important elements that determine the quality of the city and the public space: architecture – family houses, group houses, single-family houses, residential buildings and clusters, newly designed generous residential and residential streets, squares, parks and numerous pedestrian ways. In the proposal we try to create a place that can not be confused with another, a place with a character. The field complexity has contributed to the specific identity of the design, but the most important element we have brought into the design is architecture itself, architecture with interrelationship, connection to one another and common elements (terrace, outlook, materiality). 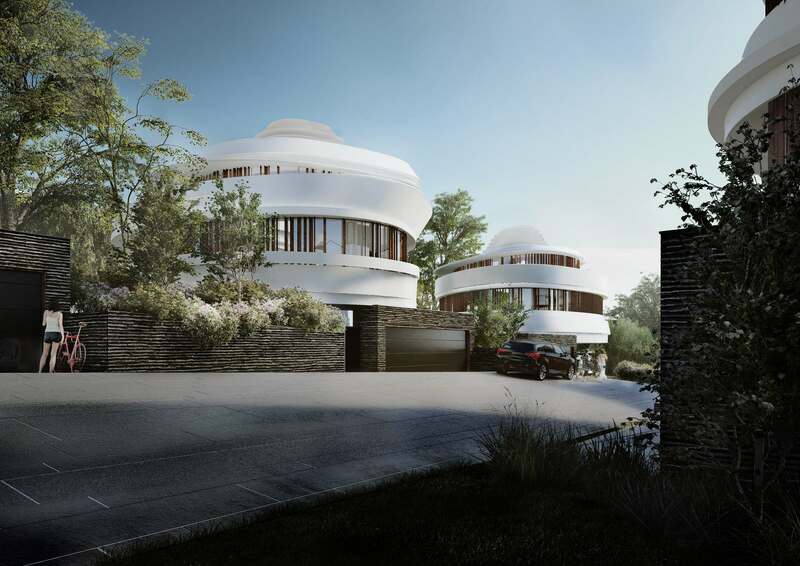 The proposal has intensified the new added aesthetics: luxury, organically shaped family houses (below RD only), which differ materially from other developments, yet their mutual elements of conception of space are identical. 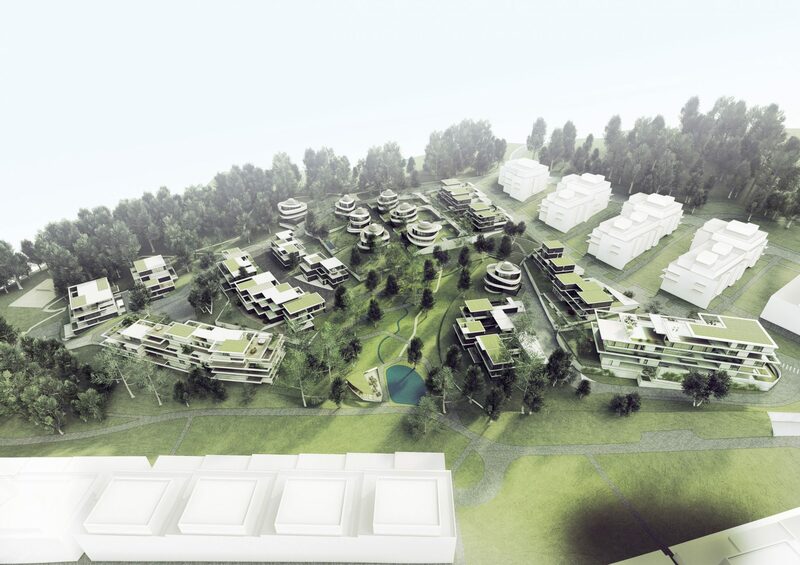 The complex terrain, the binding route and the course of communication have influenced the overall design solution, yet it does not lose the quality of the “green” city.